The state of your bird's feathers tell you a lot about his health. Parrots are blessed with vibrantly colored feathers. Notwithstanding their appearance, feathers serve in flight and they protect and insulate not just parrots but all birds. Occasionally, a parrot can develop a feather disorder caused by virus, bacteria, illness or injury. While feather loss is generally not fatal, it can indicate a serious health condition. Molting is a natural occurrence in birds that causes old feathers to fall out and new feathers to emerge. A combination of hormonal and seasonal changes dictate molting. In normal cases, birds lose equal number of feathers on both sides of the body, maintaining their ability to fly and stay warm. Several factors can wreak havoc on the molting process, such as artificial lighting, chronic stress and poor diet. Occasionally, a virus may cause abnormal molting such as a French molt. Caused by the polyomavirus, French molt is deadly in immature birds, but mature parrots have a strong resistance to the virus. 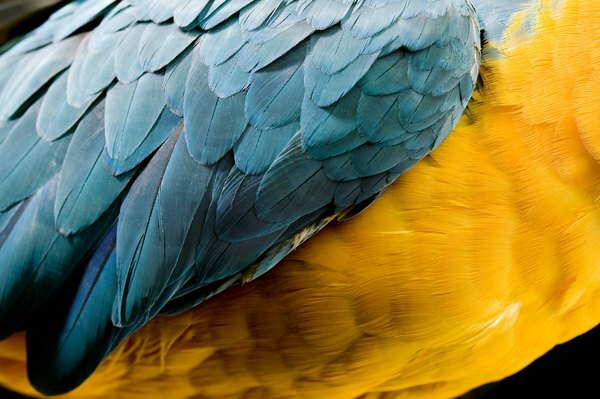 Psittacine beak and feather disease, caused by the circovirus, directly affects the feathers of a parrot. While no bird is immune to this disease, it is more common in African gray parrots, eclectus parrots, cockatoos, ringneck parakeets and macaws. Psittacine beak and feather disease passes from bird to bird and has no cure. If your parrot has this disease you may notice feather, claw and beak abnormalities; missing feathers; and signs such as diarrhea, loss of appetite and regurgitation. While some parrots are able to shed the virus and regain health, the immune system will fail in most birds, causing death. Feather cysts are swollen masses on feather follicles, similar to ingrown hairs of humans. These cysts occur when a new feather attempts to emerge from the skin only to be stopped short by a follicle. The problem often lies with the malformation of the developing feather. This causes the growing feather to curl within the follicle, creating a mass that gradually fills with a keratin substance. Feather cysts occur in many bird species but are most common in blue and gold macaws. While not deadly to your feathery friend, such cysts require surgical removal to prevent reoccurrence. Overgrooming and behavioral feather plucking are among the most common reasons for a domesticated parrot to have an unhealthy array of feathers. Due to physical or emotional causes, feather plucking is a diagnosis often reached only after other medical conditions have been ruled out. Occasionally, a bird’s excessive grooming habits have an underlying cause, such as a lesion beneath the skin that causes intense itching. Parrots are susceptible to skin infections caused by bacteria, fungi, viruses, lice and mites. Poor nutrition and psychological stressors can make both emotional and physical problems worse. Complete baldness is not common; baldness is typically limited to the feathers on a bird’s head. Genetics or a hormonal imbalance is usually to blame for baldness. Do Parrots Like to Take a Bath When They Are Smelly? Can a Cockatoo Grow Its Feathers Back?